For most people, Hawaii is associated with white sandy beaches, luaus, tan surfers, and an all-around island lifestyle. But outside of the popular tourist destinations like Honolulu, Oahu, and Maui, there is an island that most people from outside of the state don’t even know exists. Located 17 miles off the west coast of Kauai lies the island of Niihau, better known as ‘The Forbidden Isle.’ Learn the island’s fascinating history as well as the mystery behind the island and why it’s been so protected for so many years. For over 150 years, Niihau has banned anyone from the outside world from visiting. 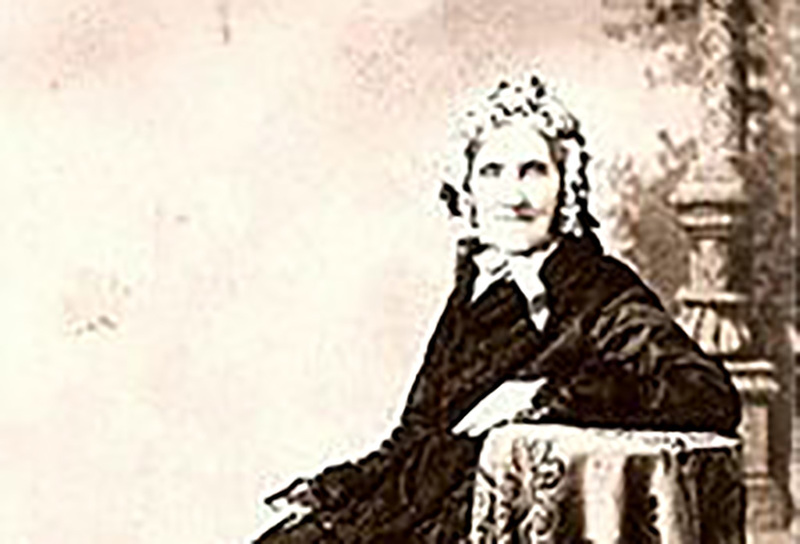 Elizabeth McHutchenson, better known as Eliza, was born in Scotland in 1800. 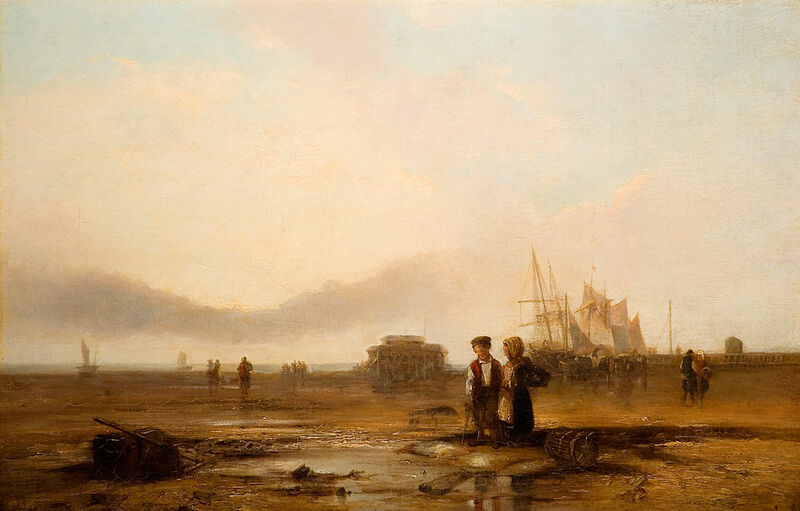 She grew up and married a ship’s captain, Francis Sinclair, in 1824, and the two shared six children. After the birth of their sixth child, the Sinclair family decided to set sail and begin a new life in New Zealand. Little did the family know that this decision would change the course of the future of the family forever. Unfortunately, tragedy struck before they could make it to their new home. The family arrived in New Zealand in 1841 and settled in Pigeon Bay where they set up a rather successful farming operation. Although the family was now involved in the farming business, Francis was a sea captain and used his skills to sail the family’s farming supplies to trade. 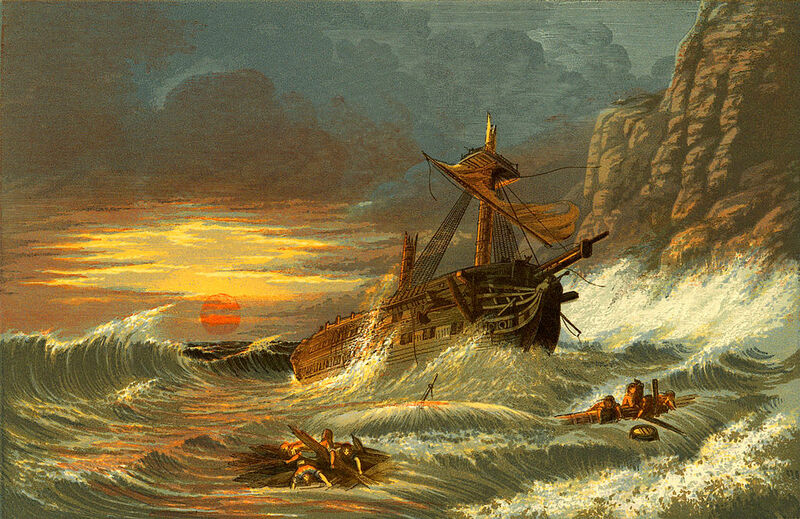 Five years after arriving on the island, Francis and his eldest son set out to sea, where they were met with a great tragedy. Their ship sank, taking the lives of everyone on board and resulting in the loss of all of their cargo. After losing both her husband and eldest son, Eliza now had nothing to show for the years of work she had put into their farm in Pigeon Bay. With five children to look after, Eliza knew she couldn’t give up. She turned Pigeon Bay into a thriving farm once again, married off all of her children, and decided the family would move to Canada. 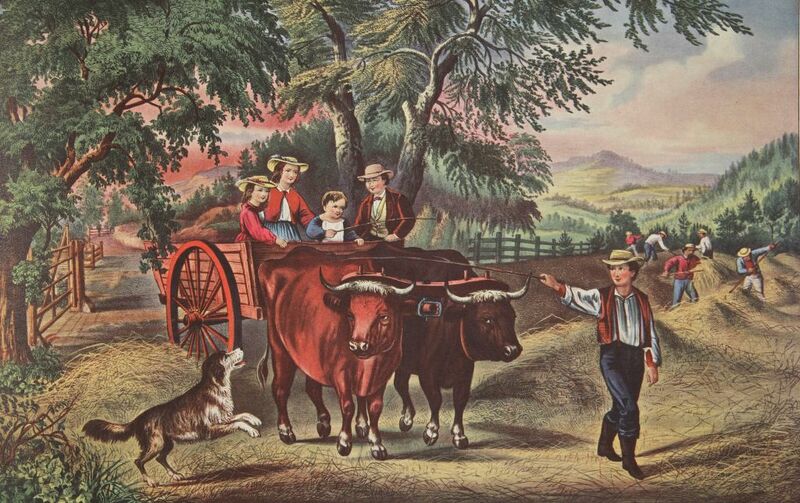 In 1863, the family set out once again, this time for Canada in hopes of starting a new farm. Upon arriving in Canada later that year, the family was disappointed when they reached Vancouver Island. The land was still mostly wild and underdeveloped — not the ideal conditions for establishing a successful farm. While Eliza was debating on moving to California, she heard about a promising place — the Hawaiian Islands, then known as the Sandwich Islands. It was then that she decided to relocate the family to Hawaii and meet with King Kamehameha V in hopes of purchasing Niihau Island. King Kamehameha V agreed to sell the island to the Sinclairs for $10,000 in gold in 1864. However, before he gave them full control of the island, he requested that the family protect the island and its residents from outside influences. The Sinclairs agreed to the terms and began their new life on the island. Eliza was considered a chiefess by the island natives and the family did all they could to help those on the island. 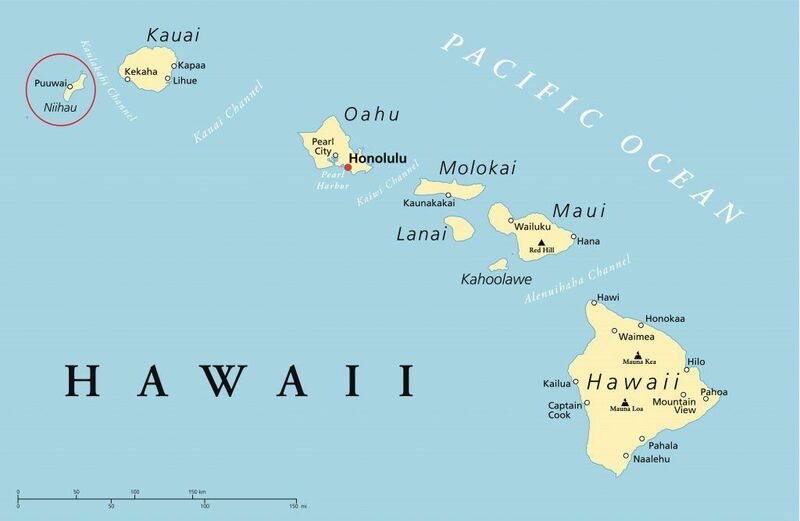 The Sinclairs now owned Niihau Island as private property and were able to separate themselves as much as possible form the ever-encroaching United States. They took King Kamehameha V’s request seriously and in the 1930s, announced that Niihau would be closed to all visitors entirely. 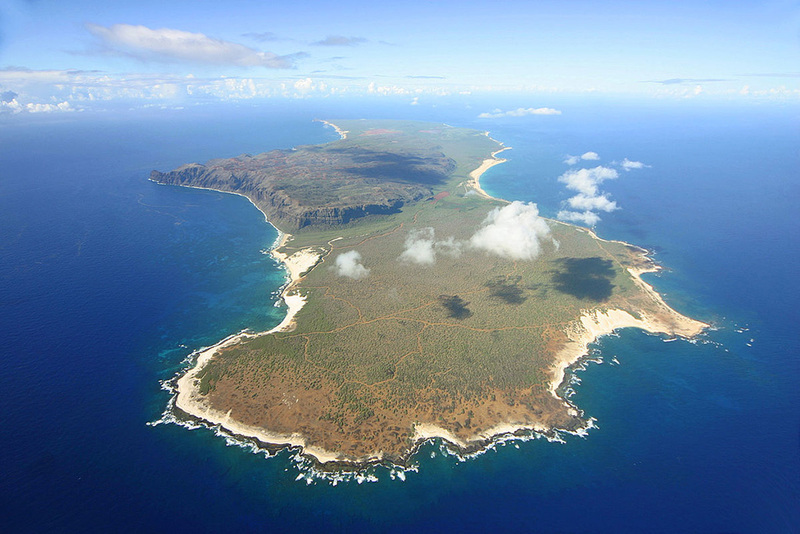 What does Niihau Island look like today? Today, the island is still privately owned by the Robinson family, descendants of Eliza Sinclair and her family. They have managed to uphold their ancestor’s pledge to King Kamehameha V and have kept the island private and unaffected by outside influences of the modern world. The island has had little to no contact with the outside world and today looks as though it is stuck in time. The people who live there live the same as their ancestors did hundreds of years ago. They still live off of the land and using old skills like hunting and fishing in order to survive. 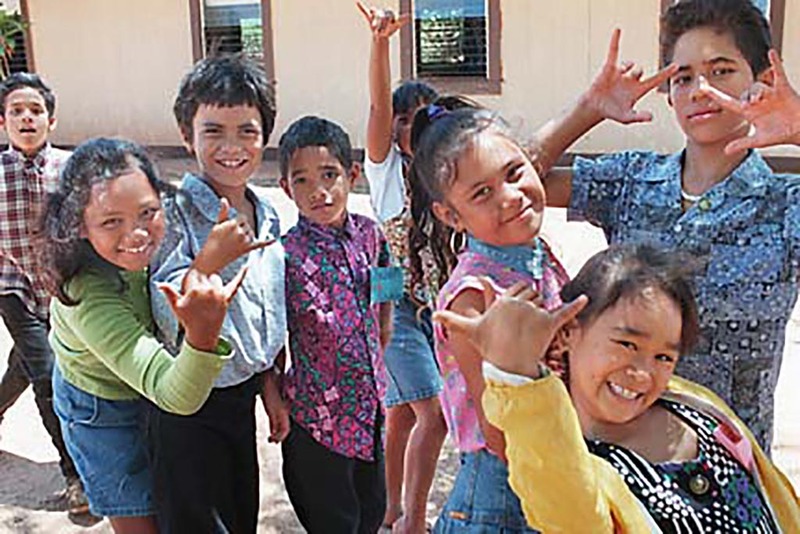 The island is also one of the only places in the world where Hawaiian is the dominant language. Being separated from the world has its perks. For the most part, life on the island has been described as being incredibly relaxed and harmonious. While the island still doesn’t have running water or electricity, the inhabitants sustain themselves by collecting rainwater and using solar panels. Almost every house on the island has a solar panel of its own. Being away from the hustle and bustle of a big city and technology, life is slow-paced. Don’t worry though, the inhabitants aren’t stranded there. Not everyone can come and go as they please on the island, but the island’s inhabitants can. The Niihauans aren’t ignorant as to what life is like on the mainland, and many split their time between Kauai and the ‘forbidden island’ because there is more work on Kauai. This makes determining how many people live on the island difficult. In a 2010 census, it was estimated that 170 people live on the island, yet that number is believed to be closer to 70. Although living on the island might sound like heaven-on-earth for some people, the inhabitants are still controlled by a series of laws created by the Sinclair and now Robinson family. Supposedly, those who call Niihaua home aren’t allowed to have guns or alcohol in their possession and are required to go to church every Sunday. Furthermore, one former resident claims that men are not allowed to have long hair or earrings and that breaking any of the rules can result in eviction from the island. 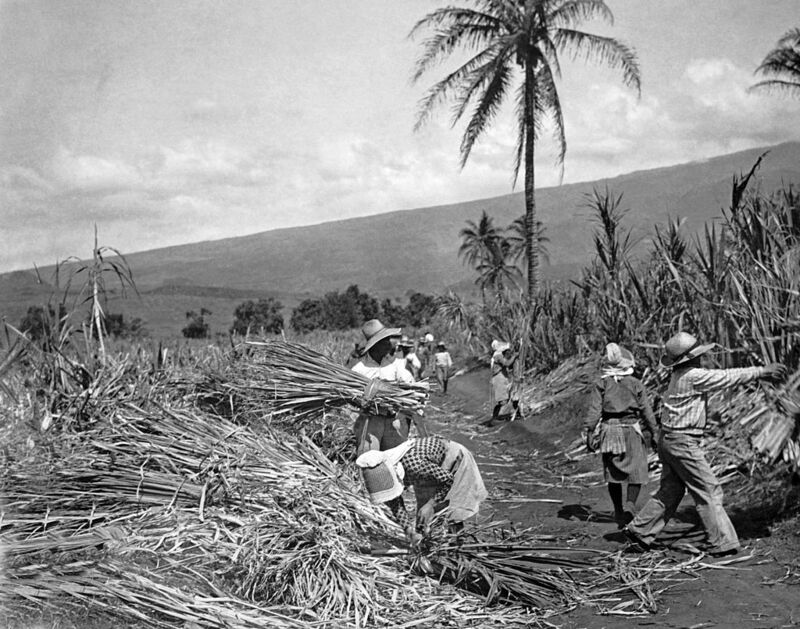 Considering how isolated the island is to the other parts of Hawaii, it’s necessary that some provisions such as food and supplies are brought over. 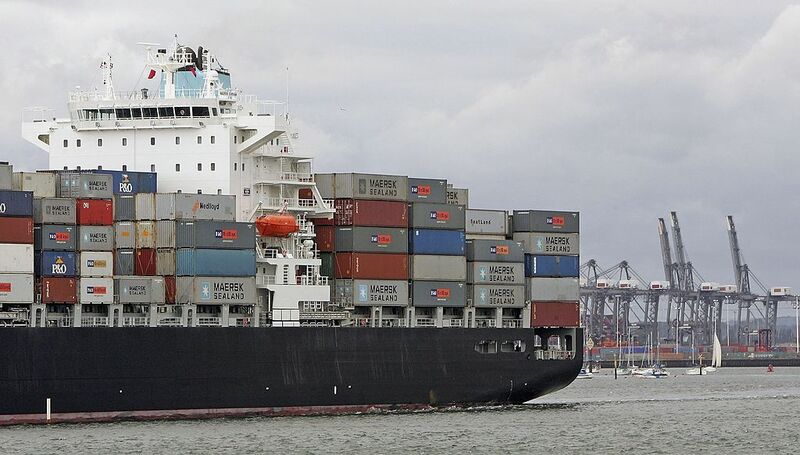 Weekly deliveries come by barge and contain goods — except for items that are banned such as alcohol, tobacco, and guns. Interestingly enough, while the Islanders may not be allowed guns, due to the island’s position, the US Military has set up a defensive operations base. There, they employ several of its inhabitants. Check out what it’s like to actually live there. There are mixed claims about what it’s like to actually live on Niihau. Some sources compare it to a utopian society where everyone follows strict laws and cultural beliefs, while others say otherwise. Peter T. Young, the former Department of Land and Natural Resources director of Hawaii, explained it best. Both the Robinson family and those living on the island agree that they want to keep their close-knit community far away from the eyes of tourists and other Hawaiians. Unauthorized entrance by people who don’t live on the island is strictly prohibited and there are consequences for anyone that tries to make their way onto the island illegally. However, getting to the island is difficult enough, so people intruding on the island isn’t a major concern. Yet, there are still some ways onto the island. Amazingly, despite being so closed-off to non-residents and even media, the island does offer very exclusive tours and limited guided tours. While you may not be able to go deep into the island, some tours will at least get you to its shores. 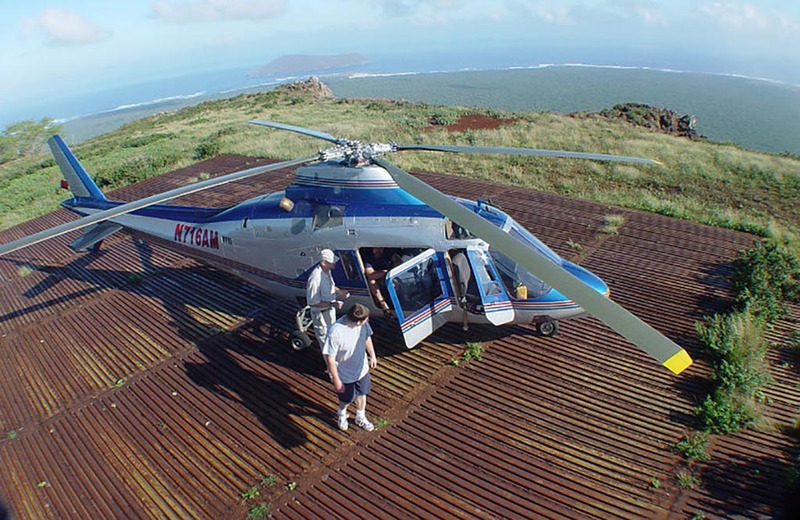 For a pretty penny, some tours take you on a privately chartered helicopter for a half-day tour around the island. However, an all-day guided hunting safari costs around $1,700 per person which offers more access to the island. He continued saying, “We respect their privacy, we respect their desire to live untouched by the outside world and we intend to preserve that.” So, if you sign up for a tour, don’t get your hopes up to see what living on the island is really like. You won’t believe what happened there during World War II! Because the human population on the island is so small, it allows for all of the island’s plants and animals to thrive, including some endangered species. 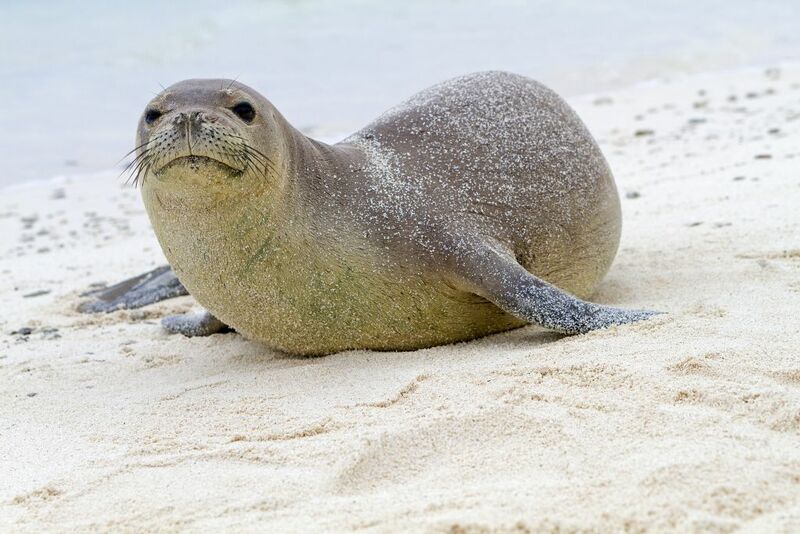 One of these endangered species is the monk seal, whose population in Hawaii has grown every year after the species began to successfully breed on Niihau. At the moment, there are around 35 seals with 10 to 12 pups being born on the island each year. This is yet another reason why the island is so well protected. Niihau shells are typically referred to shells that are specifically found on the ‘forbidden island’ which are then used to make shell leis. There are typically three different kinds of shells used although they vary in color and texture. The majority of the inhabitants of the island are avid artists and craft makers, with many of them focusing on creating these specialized leis. These can be found in stores throughout the Hawaiian Islands, with their prices varying depending on the availability of certain shells. 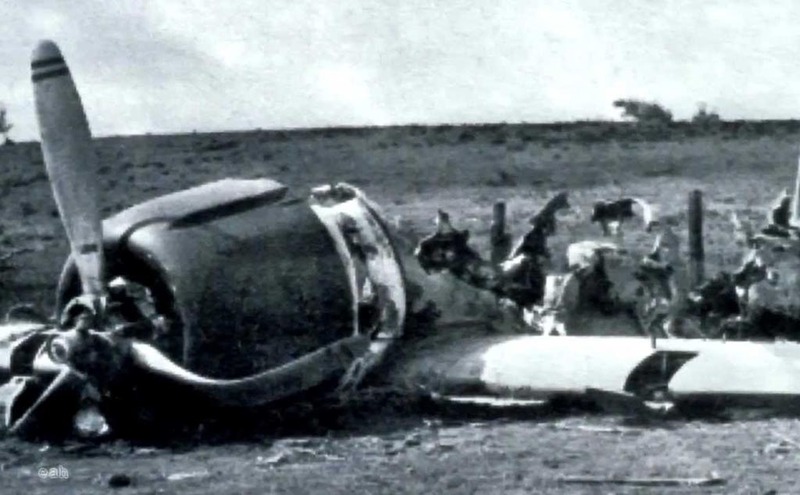 During the attack on Pearl Harbor before the United State’s involvement in World War II, a Japanese pilot ended up crashing his plane on Niihau. The pilot survived the crash and proceeded to take the entire village hostage. Luckily, two men from the island managed to subdue the Japanese soldier, take his gun, and kill him before he could harm anyone on the island. One of the men even received a Purple Heart for his heroism. Because there’s such little technological advancement on the island, when they’re not working, for entertainment, most inhabitants rely on spending time at the beach, watching DVDs or VHS videos, or whatever else to preoccupy themselves. However, like any other person, a lot of the islanders get bored and some opt to leave the island at some point in their life. With the option to come and go as they please, many people upon reaching their 20s leave to experience the outside world although they’re welcomed back upon their return. Next: more vintage aloha as we check out some amazing old photos of Hawaii! Welcome to Hawaii, where six beautiful islands of paradise await you! 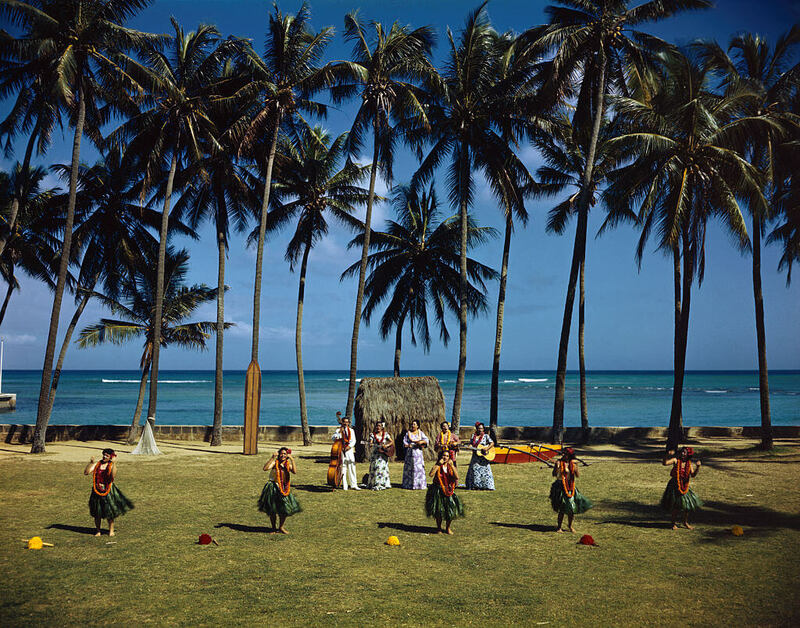 If you arrived in 1950 when this photo was taken, you might have seen a scene like this, where native Hawaiian dancers perform the traditional hula. Hula dancers sway their hips to tell a story. 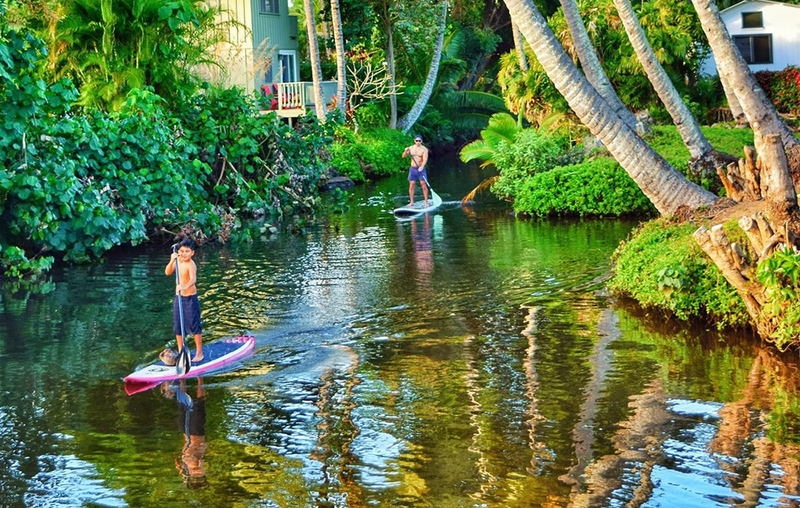 Hula was developed by Polynesians who originally settled on the Hawaiian islands. Hula is typically accompanied by “mele,” which are traditional island chants, songs, or poems. The hula is meant to dramatize the mele in a visual dance form. There are two main categories of the dance: Hula Kahiko is ancient hula that was performed before Western encounters with Hawaii. Hula ‘Auana is an evolved version with western influences. 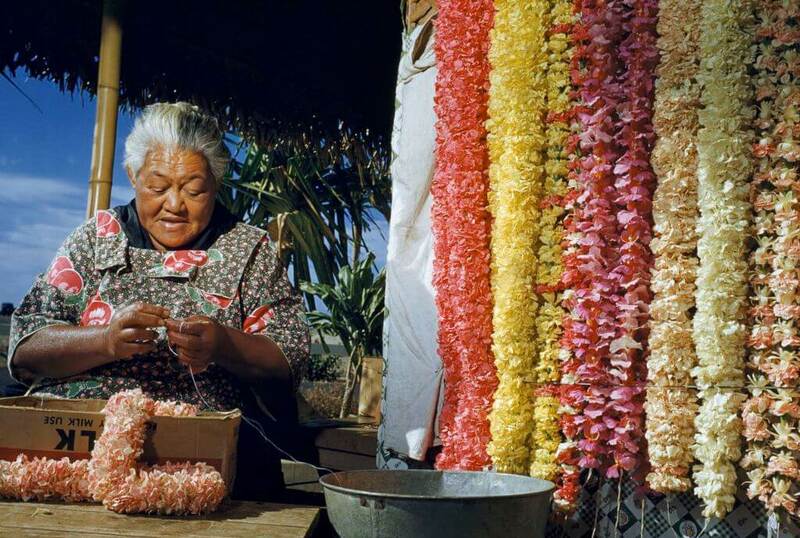 Here a woman is seen making leis circa 1954. She threads carnations together to create colorful flower necklaces that can be used as gifts for visitors to Hawaii. 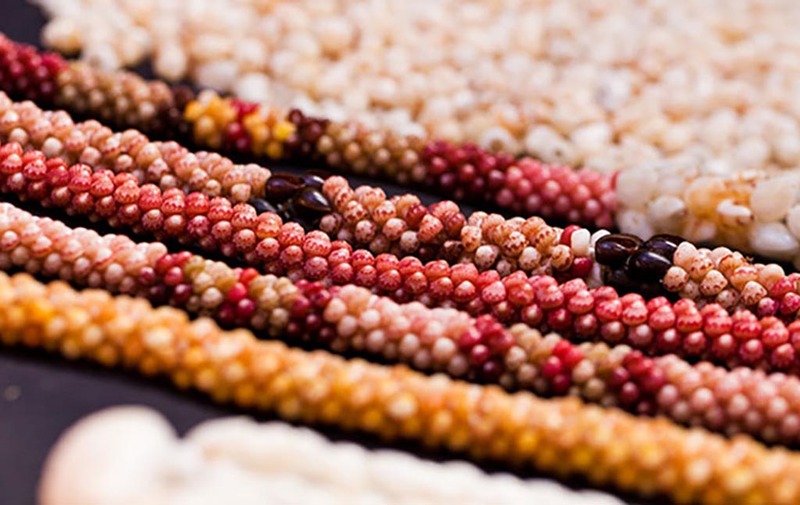 The lei tradition was brought to Hawaii by Polynesian voyagers from Tahiti and they were made with flowers, leaves, shells, seeds, nuts, feathers, and sometimes animal bones or teeth. The lei is one of the ultimate symbols of Hawaiian culture to visitors who are greeted with a warm “Aloha” and a fresh flower lei. If someone gives you a lei, you must always accept it. You must also never take it off in front of the person who gave it to you. 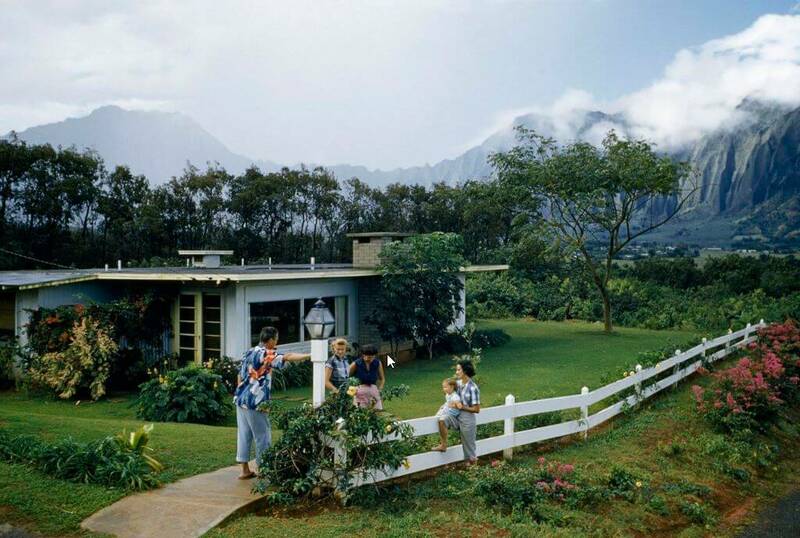 This is what life in Hawaii was like back in 1954. Neighbors chat across a white fence, not unlike suburbia on the Mainland. But unlike the Mainland, this neighborhood is nestled in a lush, majestic valley on the island of Oahu. Wouldn’t it be amazing to wake up to this scene everyday? These people certainly did. These folks live in the Hawaiian capital of Honolulu. Honolulu is the westernmost major U.S. city and also is the most remote major city in the entire world. It is likely that these families settled in Hawaii in the aftermath of WWII. Not everyone was so lucky to live in Hawaii, but the tourists didn’t have it so bad either, as you’ll see. These cooks are preparing for a traditional Hawaiian luau in 1954. 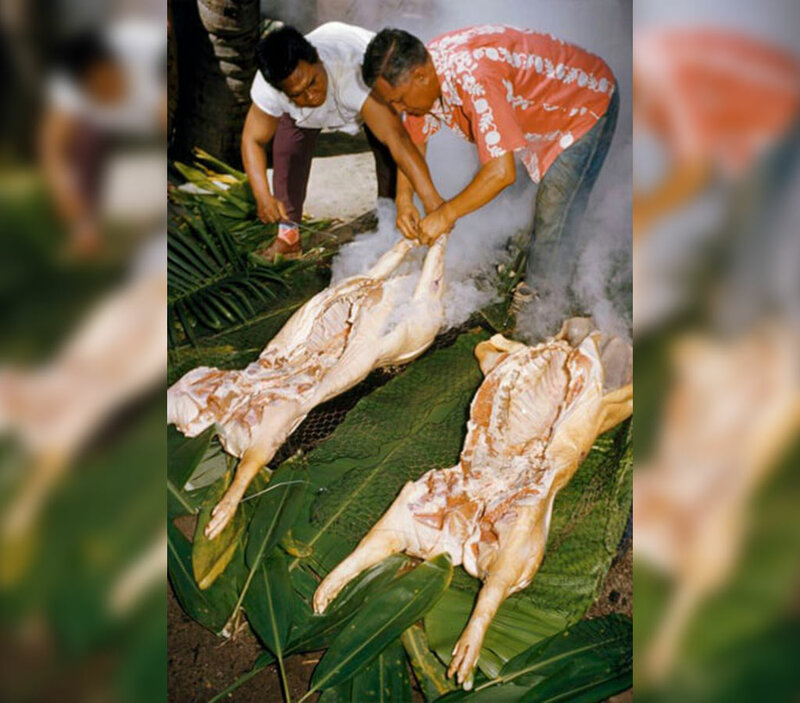 When pigs are roasted for a luau, part of the preparations include placing hot rocks from the fire pit into the pig carcass.There are plenty of different ways to consume a roasted pig at a luau. Perhaps these cooks will prepare laulau, a native Hawaiian dish. Laulau typically consists of pork wrapped in taro leaves. The laulau is then steamed to perfection. Sometimes instead of pork, laulau can also be stuffed with salted butterfish, beef, or chicken. Laulau is traditionally steamed in an underground oven called an imu. 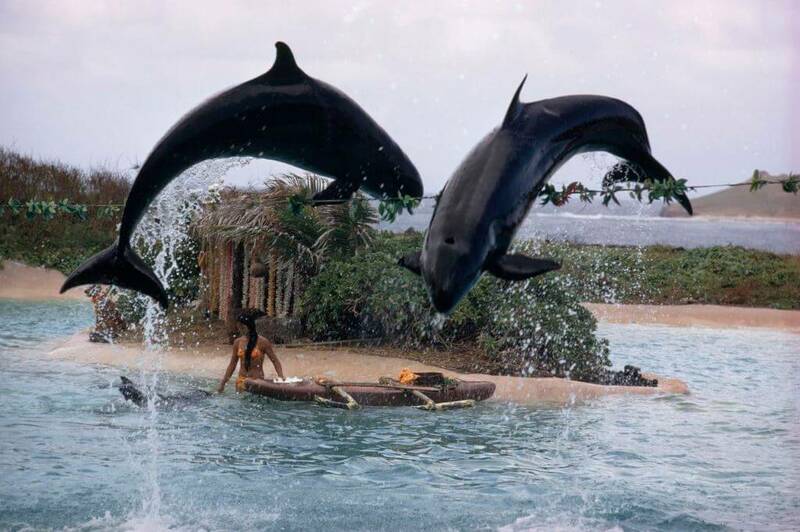 A woman is seen working with dolphins in this photo from 1969. These are false killer whales, the third-largest type of dolphin. There are three populations of false killer whales that inhabit the waters surrounding the Hawaiian islands. As a result, these are the dolphins that get observed the most, since populations are sparse elsewhere in the world. There are places in Hawaii — Oahu especially, where this photo was taken — where you can see these elusive creatures up close. Dolphins are typically friendly to humans and these false killer whales have been known to catch fish and bring them to humans who are diving or boating. If you didn’t live in Hawaii, then the next best thing was to go there for vacation! 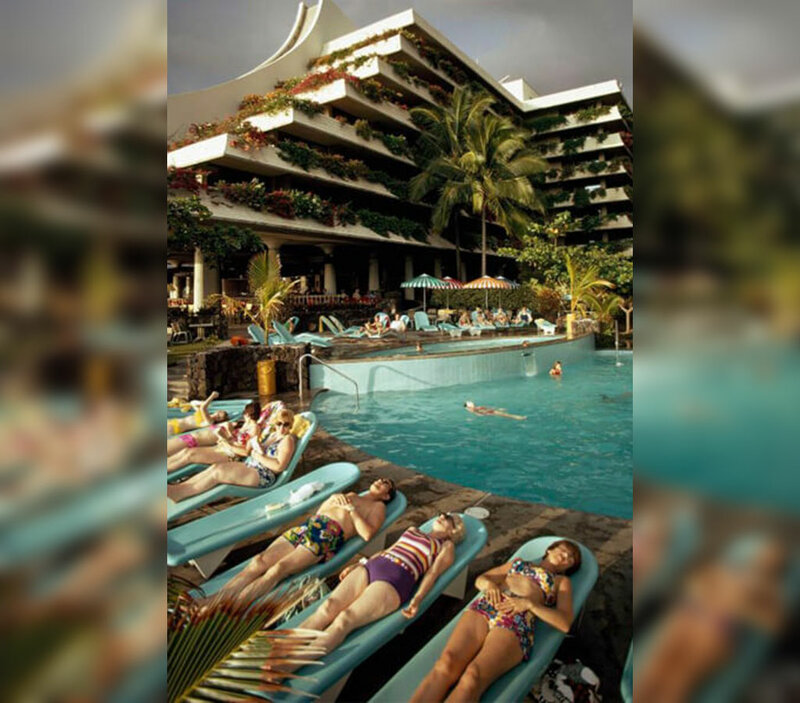 That’s exactly what these folks are doing at the Kailua Kona Hilton Resort in 1975. The resort has inevitably been renamed, but you can still visit the location. 1975 was also the year of the big earthquake and tsunami in Hawaii. On November 29, 1975, a 7.4 magnitude earthquake shook several of the islands, triggered a tsunami, and killed two people. 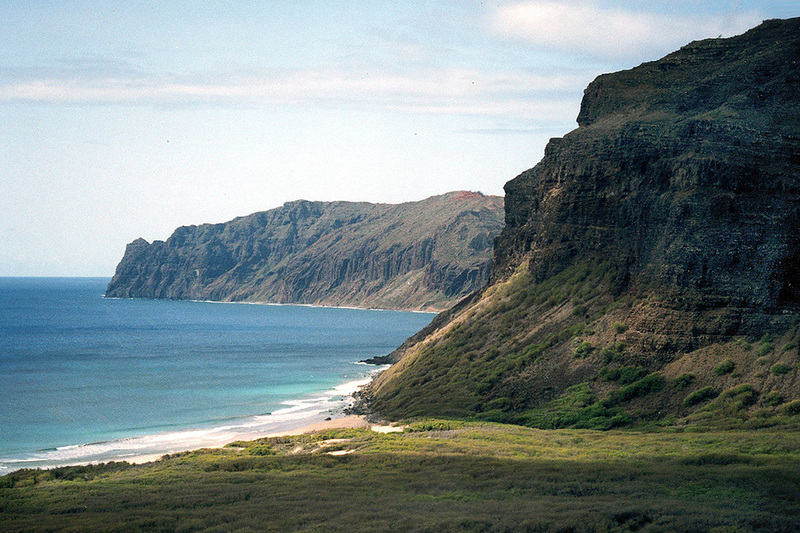 Nothing is more iconic to Hawaii than a certain beach you will see soon! After World War II, Hawaii has been touted as a popular vacation destination. This photo is from a 1938 editorial in Vogue. It’s one of the first examples of general public exposure to surf culture, which really wouldn’t take off for another 20 years or so. As early as the ’30s, the American public was shown a whole new realm of vacation destinations. It was the country’s newest state and although it was part of America, the tropical paradise was as if you were visiting a foreign country. Classic photos like these showed tourists what fun and adventure people had on the Hawaiian islands. 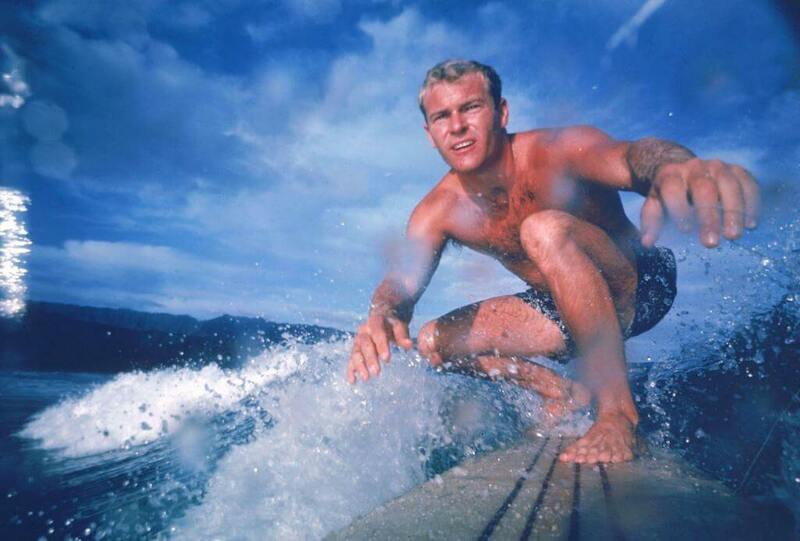 This is surf legend Nick Beck catching a wave in 1963. A surf craze swept the nation in the ’60s as awesome shots just like this one were published in LIFE magazine. 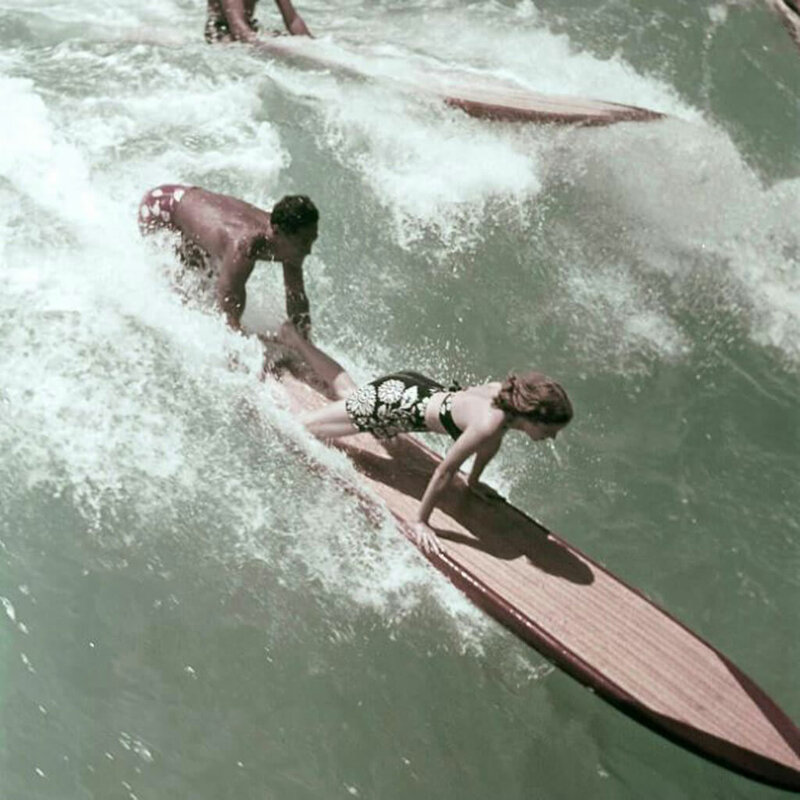 The publication introduced readers to surfing but also warned of its perils, too. Nick Beck was born on Kaua’i, which is the fourth largest of the Hawaiian islands and the oldest. After a lifelong career as a teacher, Beck eventually settled down and became the principal of Hanalei Elementary School. Later in his life, he worked towards slowing development of Hanalei and Kaua’i to preserve their natural beauty. 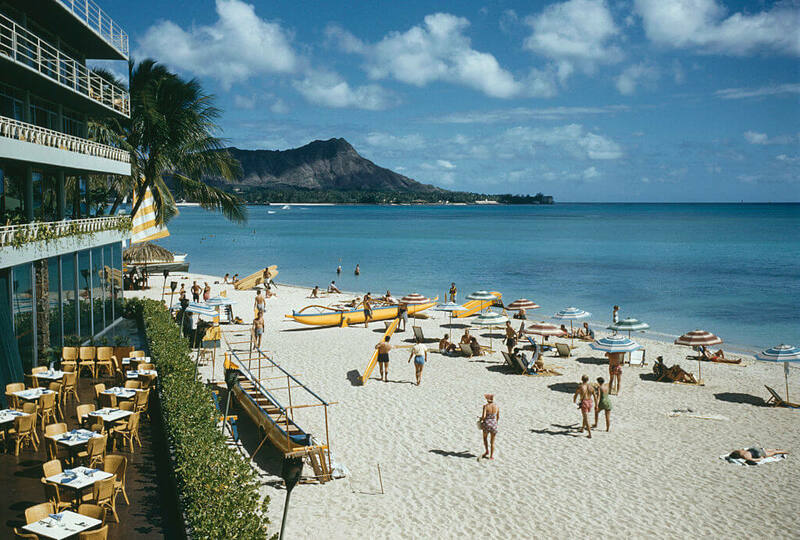 This is Waikiki Beach in 1960. Even back then, vacationers would flock to this infamous location to enjoy a slice of paradise. O’ahu, where Waikiki Beach sits on the South Shore in Honolulu, isn’t the biggest island, but the most populated. 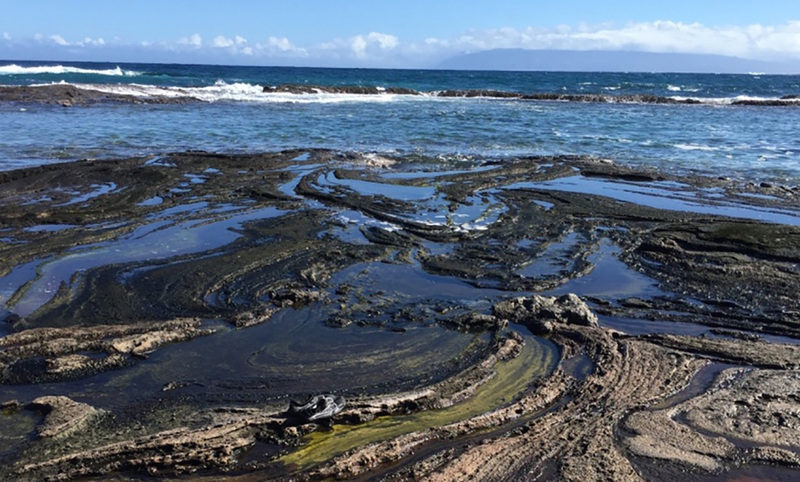 In Hawaiian, Waikiki stands for “spouting fresh water.” There used to be springs and streams that separated this beach from the interior of the island. Waikiki Beach is known for its clear blue waters, white sands, and iconic view of Diamond Head crater. This certainly looks calmer than what you would see there now. Today, Waikiki is a tourist hub and with plenty of development that lines the beach. In this photo from 1987, these ladies enjoy the surf on the beach at Ho’okipa on the north shore of Maui. Ho’okipa is a popular destination for all sorts of water-related activities. “Ho’okipa” means hospitality in native Hawaiian and there’s nothing more inviting than old-fashioned Hawaiian hospitality! Ho’okipa is home to four distinct surf breaks, where the swell and reef form barreling waves that are perfect for surfing. This beach in particular is known as one of the most renowned windsurfing sites in the entire world. There are many ancient, sacred sites across the Hawaiian Islands. There are many sacred places in Hawaii, which are called a heiau. They all look different; some are sacred grounds marked by stacked rocks with offerings to the gods. Others are more elaborate, resembling a temple. It’s very important in Hawaiian culture to preserve and take care of these places, and sadly, many were destroyed during the 19 century when Christian missionaries ended Hawaiian religion. Those that remain date as far back as the 13th century. 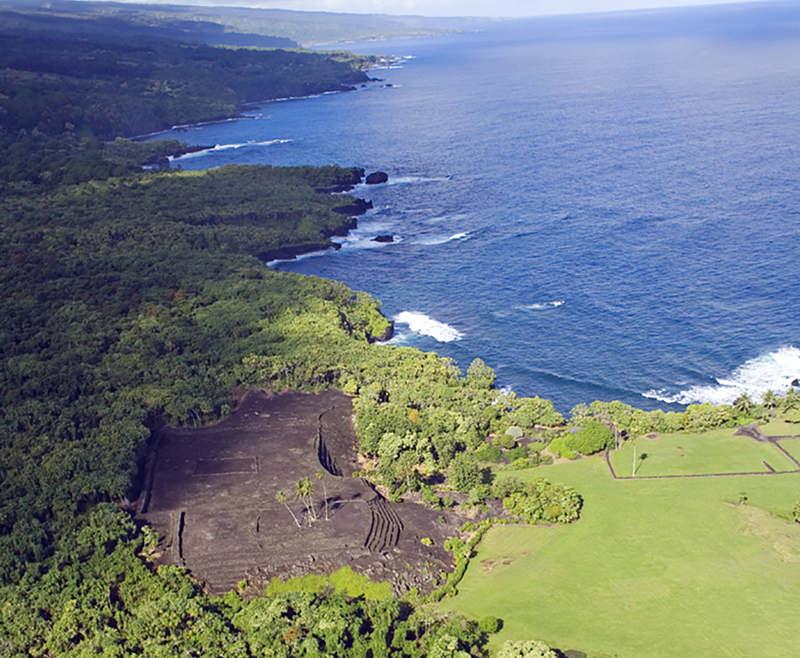 Located on the islands of Maui, outside of Hana sits Hale O Pi’ilani Heiau. This heiau holds great importance and is the largest heiau in all of Polynesia, and also one of the best preserved. It dates back to the 13th century and is made of basalt rocks that were brought up the mountain ridge. The rocks are stacked 50 feet high, with a perimeter of 341 feet by 415 feet. Inside of the walls is even more walls, as well as enclosures, platforms, and pits. 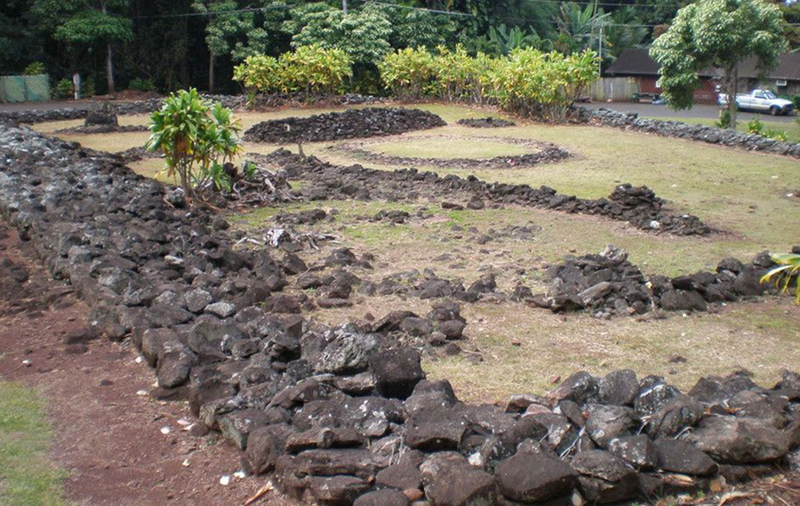 Some historians believe that this heiau was designed to be a residence. Others theorize that it was a kingdom. 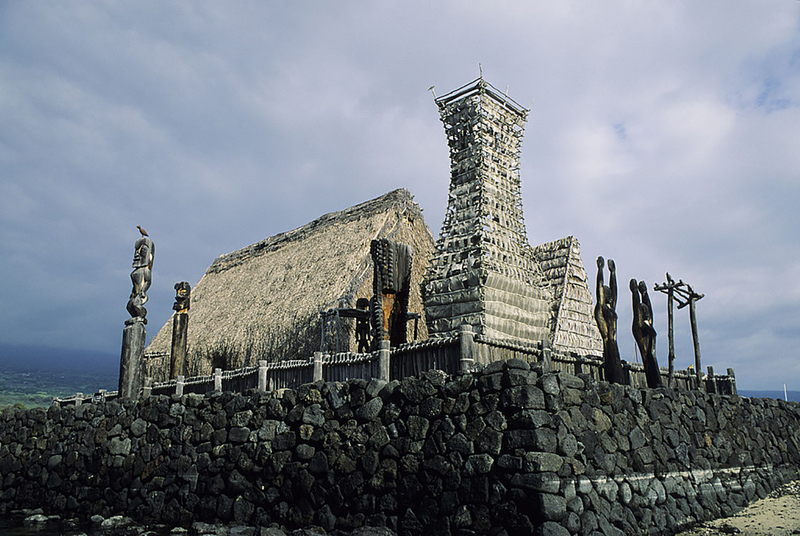 The Pu’u o Mahuka Heiau was constructed during wartime. Historians believe it first started being built in the 17th century, and more was added in the 18th century. This heiau sits on a hill on the island of O’ahu, overlooking Waimea Bay and Waimea Valley. A high priest by the name of Ka’opulupulu oversaw this heiau, which could serve as a look-out spot for much of the north shore of the island during a conflict. Historians also believe that this site was as a heiau luakini, or sacrifice temple to bring good luck in war. Located on the north shore of the island of Kaua’i, the Kaulu Paoa Hula Heiau is rich with Hawaiian history. It’s at this site that the chief of Kaua’i, Lohiau, was laid to rest. His body was buried within a cave in the sea cliffs after he died. Legend has it that Lohiau died at this site when he fell in love with the goddess of fire, Pele. Pele’s younger sister and Wahineomao scaled the cliffs to try to bring the chief back to life. Three rainbows appeared as the two women chanted with herbs, but Lohiau didn’t come back to life. This site is also attributed to the hula goddess, Laka. Haleki’i-Pihana Heiau State Monument is a 10-acre park that is home to two laukini heiau (Hawaiian temples where human sacrifice was performed). Both temples are located near the mouth of the ‘lao Stream in Wailuku, Maui. Both of the temples have connections back to key Hawaiian chiefs and have been studied by archaeologists for years. On November 25, 1985, the complex was added to the National Register of Historic Places. The temples are believed to date back to the 1200s. Kamakahonu is the former residence of Kamehameha I, the founder and first ruler of the Kingdom of Hawaii. He is also the ancestor of King Kamehameha V who sold Niihau to the Sinclairs. Kamakahonu is located at the north end of Kailua Bay on the Big Island of Hawai’i. It was here that Kamehameha I lived out the final years of his life. The location has also served as the residence for other Hawaiian rulers and government officials. Today, it is the site of a lighthouse and is part of King Kamehameha’s Kona Beach Hotel. 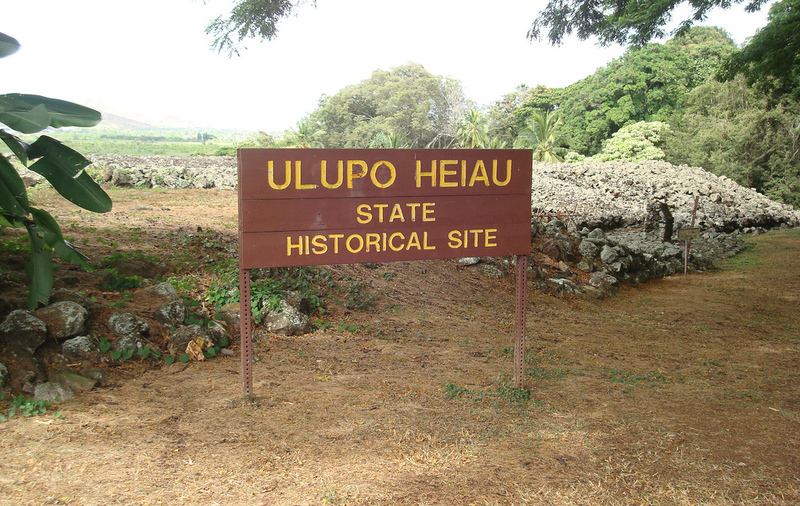 Ulupo Heiau State Historic Site is on the edge of Kailua, Hawai’i and is closely connected with the ancient legend of the Menehune, a mythological dwarf people in Hawaiian tradition. However, it later grew to be associated with the high chiefs of O’ahu. It was a thriving area, reaching its peak in 1750, only to be conquered in the 1780s. Although it was first believed to have been used as an agricultural temple given the bounty on the island, it is assumed that it was later converted into a place for human and animal sacrifices. Keaʻiwa Heiau State Recreation Area is the ruins of a holy temple. It is located at the top of a hill in a neighborhood referred to as ‘Aiea Heights on O’ahu. 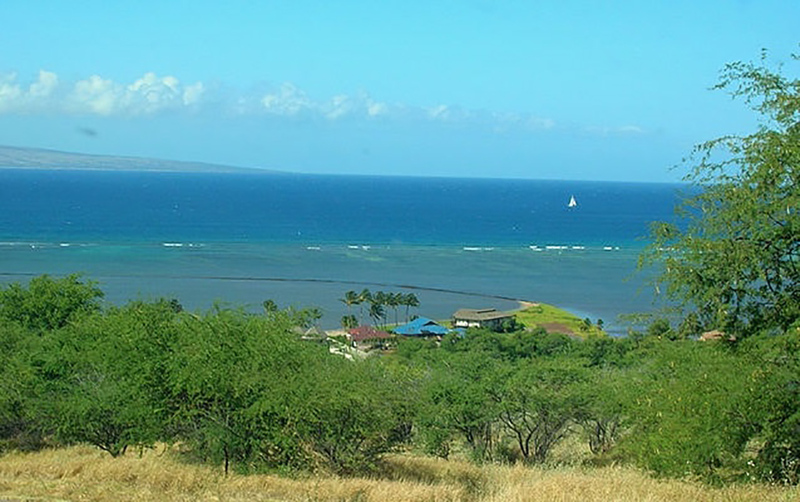 With views of the Pearl Harbor memorial, the site is also popular for camping and hiking. The temple is believed to have been established in the 1600s, and the site is surrounded by ancient medical herbs which people still come to seek out for their medical benefits. The Wailua River State Park is part of the Wailua River Valley. The river is open to visitors who can enjoy its waters by swimming, boating, kayaking, and even water skiing. Furthermore, within the Wailua River State Park is the Wailua Complex of Heiaus. This is a National Historic Landmark that was once where the center of chiefly power was located on the island. Within the complex, there are places of worship, refuge, and the locations of royal births. The Hokukano-Ualapue Complex is located to the Hawaii Route 450 in Ualapue, on Moloka’i Island. 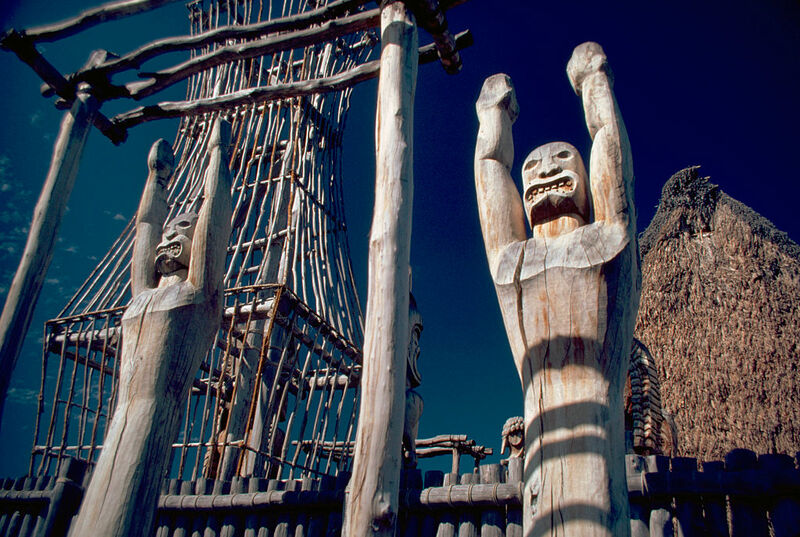 It is a National Historic Landmark and is considered to be a pre-contact archaeological site. Throughout the entire complex, there are six temples, many of which are regarded as one of the most important collections of ancient Hawaiian sites in the entire state. However, the most revered temple in the complex is ‘Ili’ili’ōpae, the largest temple on the island and the second largest in all of Hawaii.